Starting from today until November 29th, Festival of Ukrainian clothing “Trempel FEST” will be held in Kharkiv. Anyone can buy original clothes and accessories made by young designers. As a part fest, there will be lectures and master classes carried out by Ukrainian masters of style, fashion and creativity. Additionally, the gourmet food court is organized – you can enjoy mulled wine and desserts there. Brand Ericren provides ostrich, wild boar and deer snacks. Also, Ukranian brand In Vino holds a wine tasting. Virtual battle zone and rally championships on X-BOX consoles will not allow the men to get bored, and children will be entertained with inflatable trampoline and workshops by creative studio U-Sin. Trempel project, the laureate of exhibition SaloneSatellite WorldWide Moscow, developed by Kharkiv designer – Victor Puzura, became the “face” of the festival. 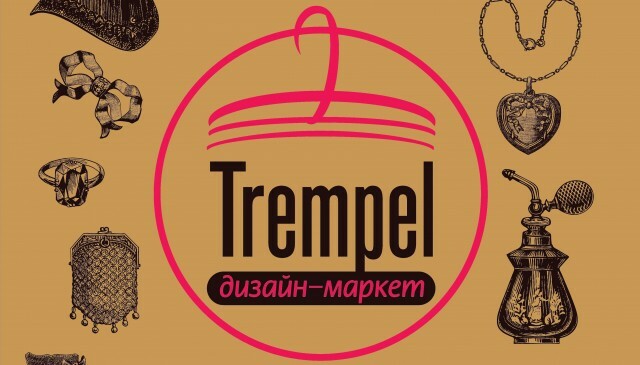 “Trempel FEST” brought together not only the Kharkiv designers, but talented people from other Ukrainian cities – Odessa and Lviv. A special feature of this event will be the zone of exchanging clothes Change Dress, where everyone will be able to exchange things that already bored them for the new pieces of garments and style. Feel free to check the official group of the Fest in the social networks here.